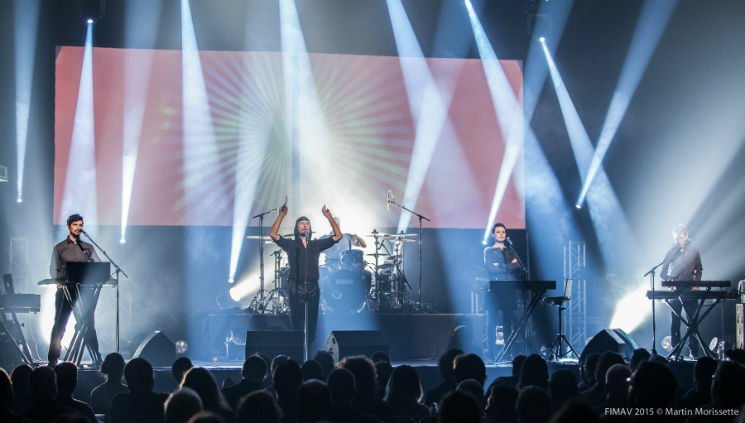 It's not often I walk out of a live show, but I did it to Laibach — again. I appreciate as truth the statement that this Slovenian band uses symbols of totalitarianism only as a commentary on the state of things as they are, but aesthetically, I find their schtick to be claustrophobic and airless. Laibach's presentation has advanced technically in the two decades since I last walked out on them, but their vibe remains the same. I left while a taped angelic chorus accompanied a video image of white swords floating lazily against a black background, with bright white stage lights creating weighty dust columns that would've pleased Leni Riefenstahl or Albert Speer. My bag, it was not. Apart from the visuals, the sonics were so tightly scripted and controlled that there was no room for the freedom of musical expression this festival is supposed to represent.